If you’re travelling along State Highway 2 this long weekend, expect it to be a slightly slower journey than usual. 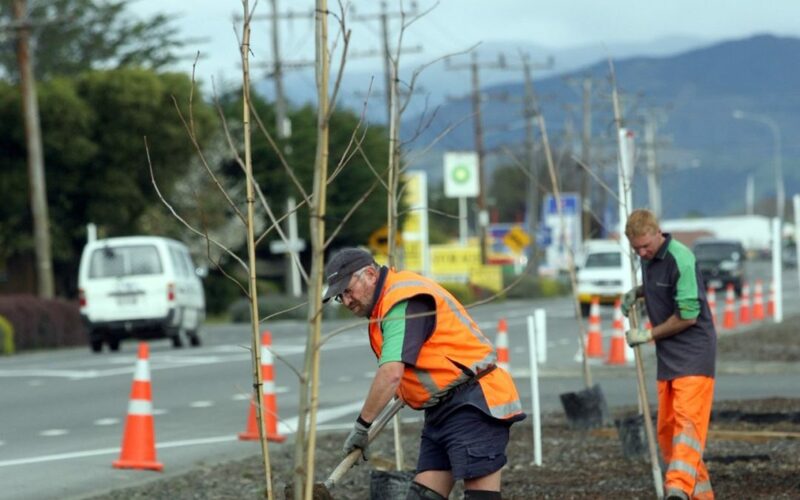 The NZ Transport Agency have advised of several works along the highway, from Upper Hutt right through to Pahiatua. 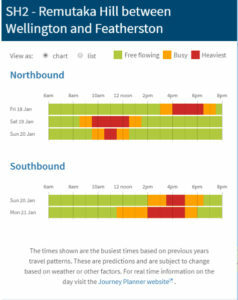 It has also provided a map of busiest times based on previous years travel patterns, with SH2 on Remutaka Hill being one of them. Resurfacing work on SH2 High Street in Masterton will start on Tuesday, January 22, with speed restrictions in place for ten days. Regional transport systems manager Mark Owens said the work will provide a quality road surface which will be safer for road users and is part of routine resurfacing to maintain the integrity of the road. The work will be carried out over a seven-day period, subject to weather, with resurfacing on January 22 and 23 to take place during the day, and overnight on January 27 and 28. This allows for the surface to settle, with traffic at a temporary 30kmh speed limit before the weekends. “Southbound traffic can travel on the road during the works, while northbound traffic will take a detour via Ngaumutawa Road,” Owens said. Meanwhile, strengthening work on the Makakahi River (Konini) bridge, 7km south of Pahiatua, means the bridge will be reduced to a single lane for 12 weeks from January 21 until April 18. During this time there will be a maximum speed limit of 30kmh with a stop/go control in place. Motorists can expect delays of up to 10 minutes.